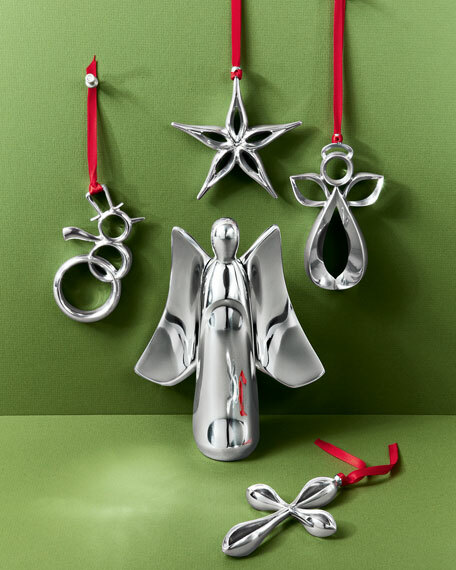 Imbued with a sense of movement and life, this sparkling Christmas ornament seems to sway in an unseen wind. 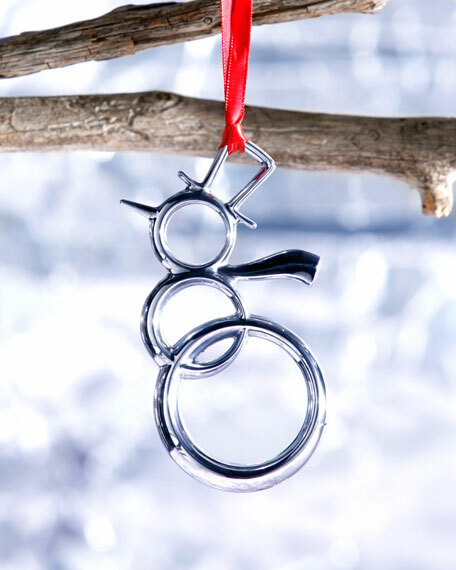 Hung on your tree, it's a standout piece that will bring serenity to your holiday. Made of Nambe alloy with silvery finish.